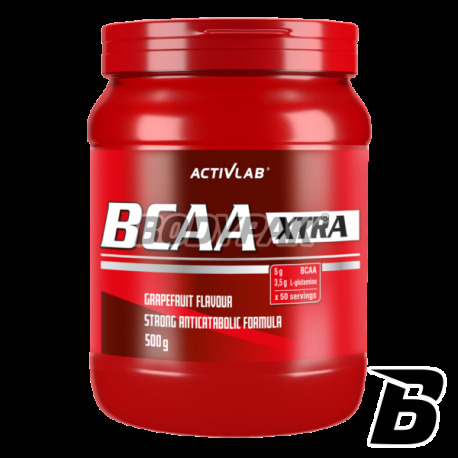 Activlab BCAA XTRA is a concentrated source of branched chain amino acids. Branched chain amino acids build approx. 1/3 of skeletal muscle mass, they have anticatabolic effect, and play an important role in muscle protein synthesis. The body can not synthesize them itself, and therefore must be supplied from outside with food. 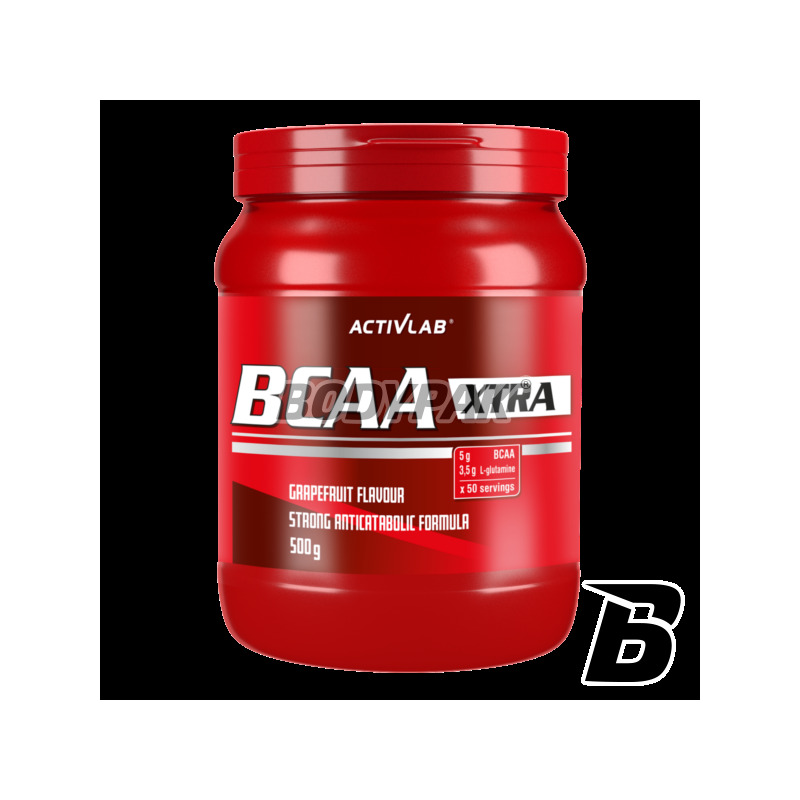 Activlab BCAA XTRA is ideal for people who want to increase muscle mass and strength without adipose tissue increase. One serving (10g) of BCAA XTRA contains as much as 5 g of branched chain amino acids in a ratio of 2: 1: 1. The preparation is additionally intensified by L-glutamine - an amino acid important to protein biosynthesis, as well as increasing muscle strength and endurance. Auxiliary in order to increase strength and muscle mass while reducing body fat. For people practicing recreational and sportsmen. Ingredients: L-Glutamine, L-Leucine, L-valine, L-isoleucine, acidity regulators (citric acid and sodium citrate), flavor, sweetener E950, coloring: cochineal red A. Cochineal Red A - can have a detrimental effect on activity and attention in children.